It’s that time of year again. Summer is quickly approaching, what are you doing this off-season? 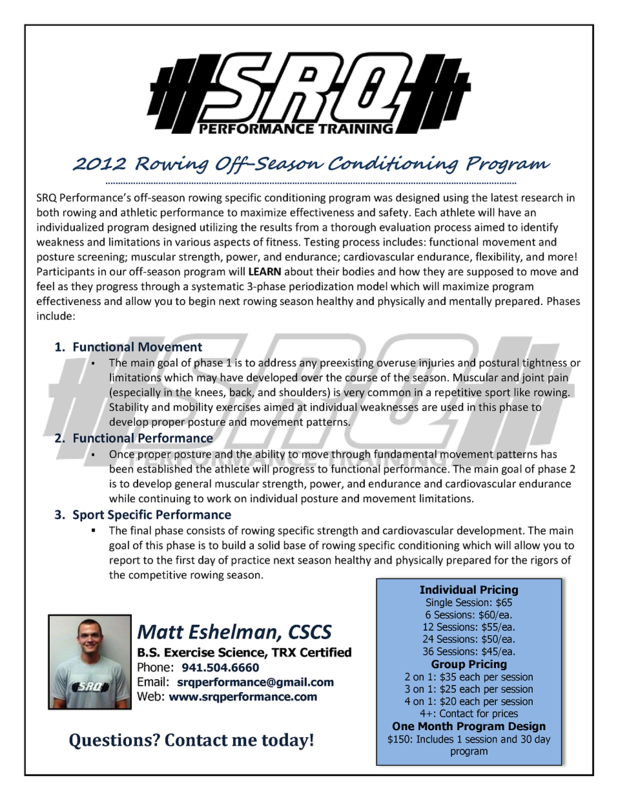 Come train with SRQ Performance and let me help you “Realize your potential”.